As dressage riders, we need to be able to use our hips effectively yet, more often than not, riders are extremely tight in this area. Developing hip flexibility means your hips should be mobile and free enough to move in the same rhythm as your horse. You also want to have enough strength through your pelvis and core to allow your seat bones to get into the saddle and remain stable. Hip mobility isn’t about doing the splits! Being flexible and mobile isn’t about being able to do the splits or put your leg around your head! Instead, it’s about having the right amount of mobility around a stable pelvis. 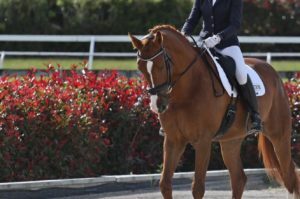 A lack of flexibility is common, especially for riders who may spend alot of time at a desk, or for those of us who are now over 30 years of age. Because yes we tend to lose mobility over time. 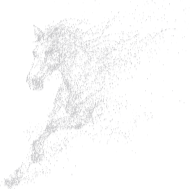 It’s relatively easy to understand how diminished hip mobility will affect your performance as a dressage rider. Tight hips can impede your framework and effect the ability to move with your horse. Imbalances between your hip flexibility and strength can also lead to injury and joint pain. In this video, I demonstrate a couple of stretches specifically for dressage riders to achieve greater hip mobility. 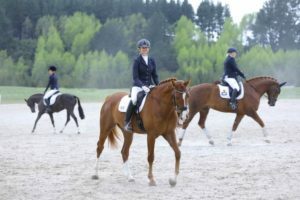 If you combine these with abdominal exercises, you’ll gain greater strength in your saddle and therefore a greater connection with your horse. You’ll feel this stretch through the hips and your side body as you stretch your hip flexors and your Iliotibial band (ITB). When your ITB is tight, you’ll notice your legs shortened and reduced mobility in your lower back. Can often show up with knee pain. This stretch is targeting your hamstrings. When your hamstrings are tight, your hip sockets can also become tight. Can be reflected in the saddle with how you leg sits and how deep you are able to become. You’ll feel this stretch in your inner thighs which will help relieve tension in your lower back as well as loosen up your hips. This stretch will help loosen up your glutes and your hip flexors as you twist around. It’s a great one to improve your hip range and motion. Aim to hold each of these stretches for 30 seconds initially. Once you can more mobility after a few weeks of regular stretching, increase this hold for 60 seconds. Obviously, the more often you stretch, the more impact it will have on your riding posture. Hips are just one of the areas all dressage riders need to focus on to improve their strength and flexibility. This is regardless of their experience or riding level. To get yourself started today, be sure to download our free guide here.